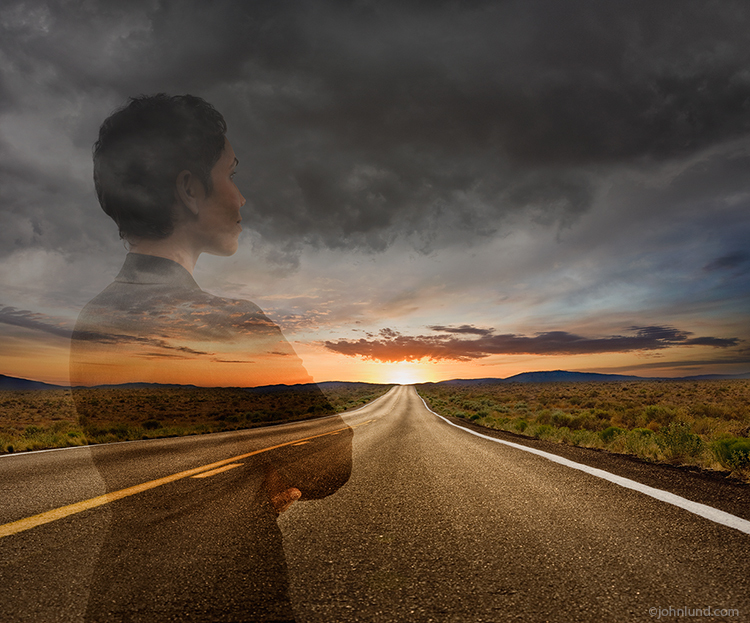 A woman looks down a long road, under storm clouds and at clearing skies over a sunrise, towards better times and success in a stock photo that could well represent the stock photography industry. The death knell for stock photography is ringing loudly everywhere one turns, but is stock photography really dead… or dying? I don’t think so. Sure, the stock photography business is in transition with a lot of challenges for those attempting to make a living at it, but there are some good developments as well. With the advent of microstock, and the proliferation of imagery, prices have plummeted, but recently there has been some evidence of increasing prices for curated collections. Too, there are still plenty of examples of high prices being paid for stock photos. Agencies are springing up that are paying the content creators a larger percentage of the licensing fees as well. Finally, there are some more photography-friendly agencies coming along that are offering more guidance and support for photographers. In my own experience I continue to see substantial sales from such venerable agencies as Getty and Corbis and some excellent sales from Blend Images as well. Just last month I had a $17,000.00 (gross) sale from Getty, a $6,000.00 sale and several sales in the $1,000.00 range, not to mention a plethora of lower priced sales. Last night I had a direct sale through Blend Images for $1308.00, and the week before I had a Blend Images sale for $3500.00 and another one for $1223.00. Two weeks ago a friend of mine had a $40,000.00 Blend sale! Those really big sales are kind of like hitting the lottery and while they certainly are fun, it is the hundreds of smaller repeat sales that pay the bills. There are still plenty of clients willing to pay a decent amount for the right image. Also good news for photographers is the trend of new photographer-friendly agencies. Blend (disclaimer…I am a part owner of Blend), for example, offers a ton of help for photographers from intimate art direction to market research to royalty rates to 50%. A big plus for Blend is the wide distribution they offer ranging from Getty & Corbis to Masterfile, SuperStock, Gallery Stock and many others. Gallery stock has caught my eye because of the consistently high sales they make for me (through Blend Images). Stocksy is another interesting agency that has a co-op approach, a high royalty rate, higher prices than microstock, and is off to a fast start.